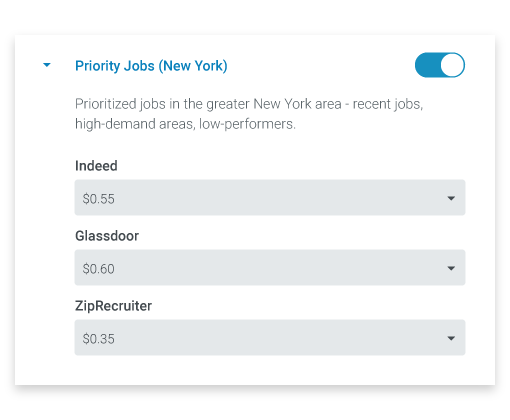 Get more quality candidates and improve your recruitment marketing ROI with Recruitics’ programmatic job advertising. Whether you need better candidates for your hard-to-fill jobs or more volume to build your pipeline, Recruitics can help you achieve your desired results. Our programmatic 2.0 optimization solutions let you target your ideal candidates on a pay-per-click (PPC) or pay-per-application (PPA) model through an extensive network of partner websites and control your budget at the most granular level to get the best ROI. Reach over 100m job seekers across leading job boards, aggregators and more. Set rules to govern your job advertising budget to achieve the best results. 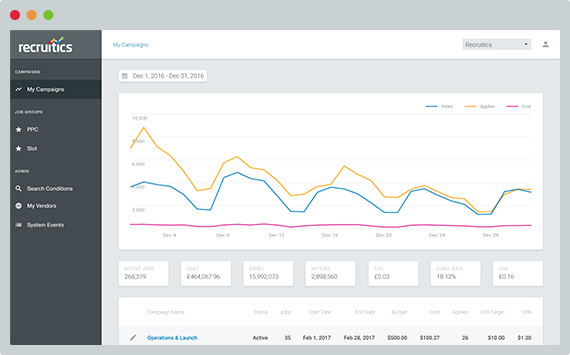 Control budget and manage campaigns across all your advertising channels. 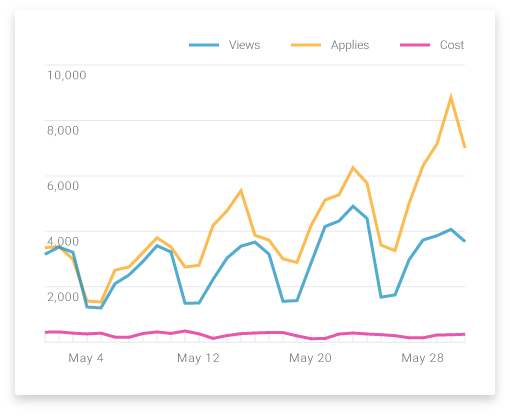 Utilize real-time data to make strategic decisions to maximize your campaign. "Recruitics has been vital to the strategic management of our job ad spend. The ability to test new sources, use rule-based automation to optimize spend and collect job-level data has been invaluable to our success." By leveraging our programmatic ad network, Recruitics Reach, we distribute your job advertisements to an extensive network of partner sites. Our proprietary bidding platform ensures your job ads are placed on the best sources, at the optimal times, with the most cost-effective bids. We track and monitor the performance of your job advertisements through our award-winning analytics platform, Recruitics Analytics. 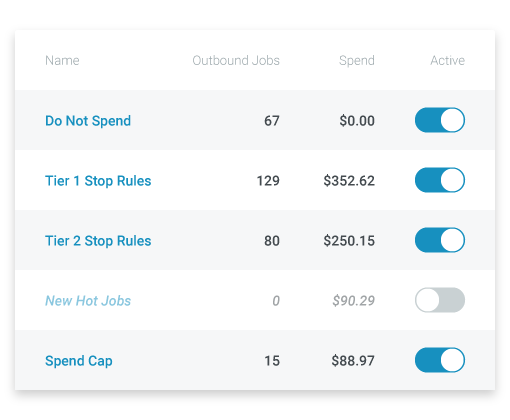 This allows you to analyze the ROI of your campaigns down to the job-level to understand exactly where your budget is being spent, how your jobs are performing, and what sources are generating ROI. We begin to track and monitor your creative, campaign, and overall targeting as soon as it is launched. By leveraging real-time data, we are able to make automated adjustments to ensure your campaign is running at total efficiency, reaching only your targeted profiles, while using your budget effectively.